If a big expense comes up unexpectedly, you may consider a payday loan as a short-term solution. Beware! Don’t enter into any loan without understanding the terms and consequences. Here at InCreditable Advisors in Indianapolis, Indiana, we suggest everyone consider financial counseling to learn more about budgeting, credit and debt management before they need credit counseling or debt counseling. However, if that didn’t happen, we can still help. A payday loan is a small loan (commonly between $100 and $1,000) that does not require a credit check. These loans have short terms and must be paid back quickly, usually within weeks. They are also called “check cashing,” “payroll advance” and “deferred deposit.” Seldom are credit counseling services offered. Many payday lending companies are not licensed, bonded or regulated by consumer laws. In addition, laws regarding payday loan lenders can vary by state. Payday loans can be very costly and could result in the need for credit repair or debt settlement if not paid off in-full and on-time. The fees for payday loans are usually a fixed amount, which represents the finance charge. The annual percentage rate (APR) on a payday loan averages about 400%, but the effective APR can be as high as 5,000% due to the compounding of interest. In comparison, credit cards have an APR of 12% to 24% and the APR for a short-term, unsecured loan or line of credit at a credit union averages between 7% and 15%. The borrower usually provides the lender a signed, post-dated check or debit authorization. On the due date, the borrower must either pay off the loan in person or the check or debit authorization is processed from the borrower’s bank account. If there are not sufficient funds in the account, the borrower is charged additional fees by their bank plus additional interest and fees by the lender. If borrowers can’t pay off the debt, it begins to snowball. It quickly changes from the original small, short-term loan to a very large amount and continues to grow because additional interest and fees are added. The borrower gets caught in a long-term cycle of debt which often leads to larger financial problems. If you find yourself in a bad situation with a payday loan, contact InCreditable Advisors. We have the experience to help you by working with the payday loan lender to negotiate a debt settlement or set up payment arrangements that are affordable for you. 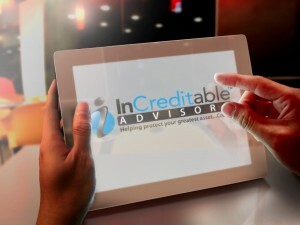 InCreditable Advisors is the only full-service Credit and Debt Counseling, Credit Repair and Debt Settlement organization in Indianapolis, Indiana. If you find you need financial counseling and budgeting help or debt consolidation and credit repair, InCreditable Advisors can help. When you feel overwhelmed with debt and like you have no options, call us at 317-837-4969.